Lately I’ve been doing a LOT of promotion of my own stuff, so I thought I’d take a break and show you some unique gifts that your Mom will love that I DIDN’T make! I mean, she’d love my stuff too, but that’s beside the point. Amazon has done a great job of showcasing what they call “Interesting finds” and I’m obsessed with browsing through them. But of course, while Amazon might be one of the more convenient sites to order from, there are other retailers out there with great unique gifts! Here’s 5 unique gifts for Mother’s Day you might consider this year. 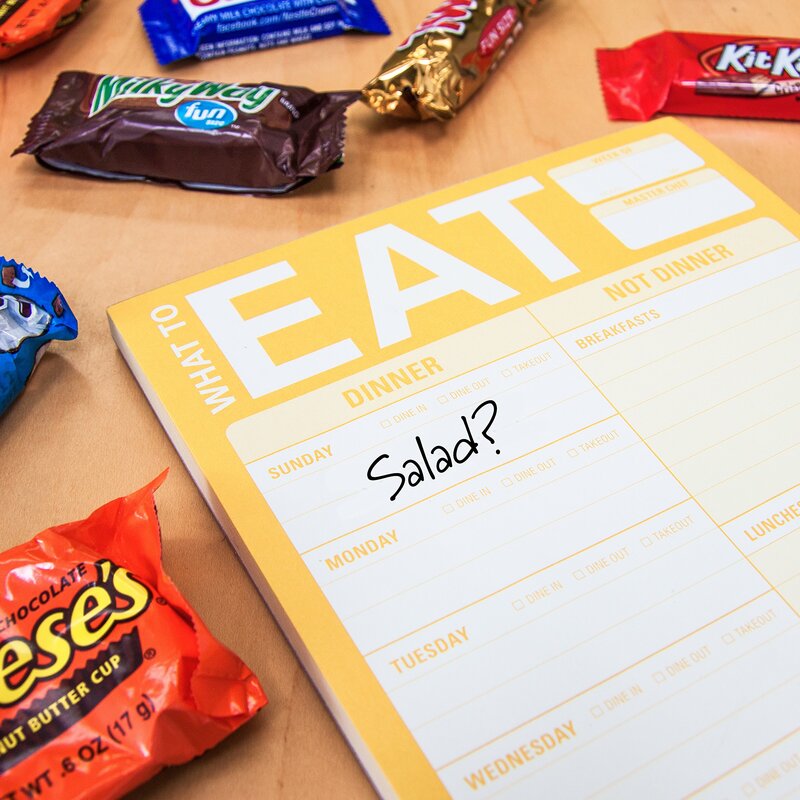 I’m not even a mom, but I am usually responsible for feeding myself, my husband, and my brother who lives with us most nights, so an always dreaded question I get on the regs is “What’s the plan for dinner?” With this cute pad of paper, it will make mom’s life easier to just plan out meals on a weekly basis and slap this bad boy onto the fridge. Want to know what’s for dinner? Check this week’s pad! I’m not saying every mom is “with it” enough to know what they’re going to cook all week. The beauty of this is that you can slap it on the wall and fill it out as you figure it out, too! It will at least stop Mom from raging out like the Hulk when yet another child asks what’s for dinner. For all the trouble and worry you’ve ever given your mom, there’s no question that she deserves some damn pampering! Women, in general, are sometimes terrible about taking care of themselves when they have others that rely on them for care. Mom may not have the time or money to get to a fancy spa for a proper facial, but you can definitely make her feel like a million bucks with a simple facial mask. This mask boasts anti-aging and anti-wrinkle properties, but do yourself a favor and let the jar speak for itself when you present it. Do not ever tell your mom that she needs either of those things if you want to live! Is 24K gold necessary? Probably not, but you can’t deny that it ads to the luxuriousness of the experience! Sometimes, perception is reality. Mom’s are busy, and she certainly does not have time for your shenanigans! Yes, a pad where they can meal plan is nice, but an actual MEAL is even better. Sign your mom up for a membership to Plated. You just tell them how often you want to use Plated, pick from their recipes, and they send you a weekly box with easy-to-follow instruction cards (with pictures!) and all the fresh ingredients you need for amazing meals. You can treat your mom and cook it for her, even. And we all know that Mom’s love when you put a little of your own love into a gift. Sign up for Plated and get a free Plated night. If you’ve recently taken an amazing adventure with Mom, a photo book is a great way to use photos, graphics, and captions to tell the story of your trip, not just display pictures in a boring photo album. You can save 50% on Hardcover Photo books through April 26th at Shutterfly, my favorite place to get photo books. I’ve probably ordered more than 10 from them over the years – telling the visual story of everything from weddings to vacations, baby’s baptisms to a single day out. If photo books aren’t your style, Shutterfly has a lot of other great photo gifts like mugs, jewelry, home goods, and fancy art prints. Remember, Mom made you, so as long as you’re well behaved, she’ll never get tired of your beautiful face! When in doubt – it’s time to get Mom hammered. Providing your mom with a monthly supply of her favorite wine will definitely make you her favorite child! You don’t have to narrow your selection down to just white or red if you aren’t quite sure what your mom prefers. You can select from a wide variety of different wine packages with different focuses. If you feel like a full-on monthly wine membership is overkill for your mom, Original Wine of the Month Club also sells gift baskets that are beautifully presented and include fun accessories like bottle caddys, treasure chests, and more. 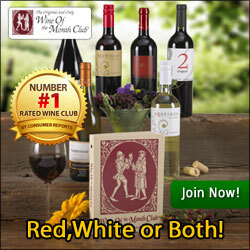 All wine memberships receive a free gift on sign up and gift baskets ship for free! Let me know in the comments – are you taking one of my suggestions or following your own path? Did you find what you were looking for to give Mom this year? Remember, Mother’s Day is just around the corner – May 14th, so you don’t have much time if you’re going to buy online. If you are interested in my customized, handmade gifts, I’m taking orders now for Mother’s Day so contact me soon! I like the wine of the month club! That seems like a great gift for my mom who loves a glass of wine with her meal! I also like the Plated Meal Delivery as an idea too! To many to choose from!! 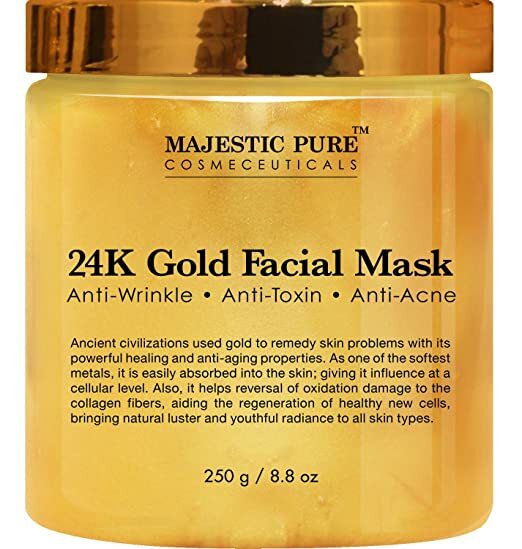 I’m a mom and i truly believe that I need that 24k gold face mask. Geesh, I never even heard of it. Oh this is a great ideas for mother’s day! I will bookmark this and recommend to my friends. This is awesome. It’s nice to give your mom a gift that she’ll appreciate. I really like your suggestions! Pampering your mom on mother’s day is a great idea. It’s nice to give her something that will help her feel taken cared of. I think these are all awesome. I love photo books. Shutterfly is the best too, as far as I’m concerned. These are some fun ideas for Mother’s Day. I know the moms in my life would love several of these. You’re absolutely right about your content on the facial mask. Well-said! I have tried the Plated delivery – this is probably one of my most favorite subscription boxes. I haven’t heard of some of the other products, will check them out! As a mom I love these ideas ~ I would totally love the wine of the month club or the photo book idea is also awesome!